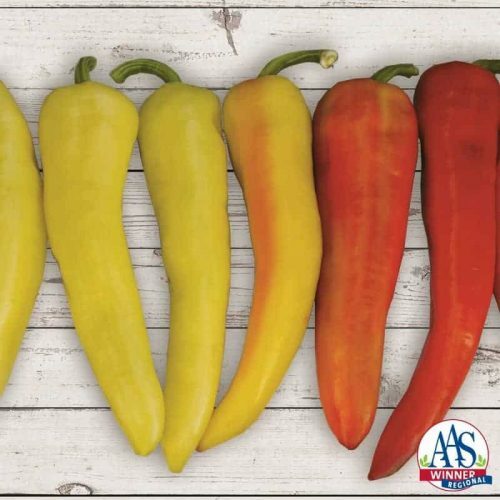 Mexican Sunrise Hungarian Pepper F1 brings to the garden a full spectrum of colors from lime green to yellow then orange and red as the fruit matures. 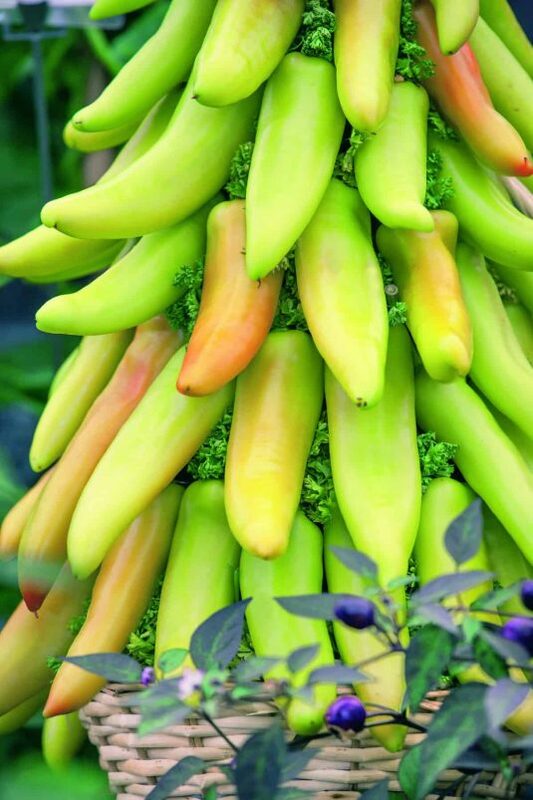 These earlier maturing conical pendant shaped peppers produce a thick-walled fruit that can be eaten at any stage. 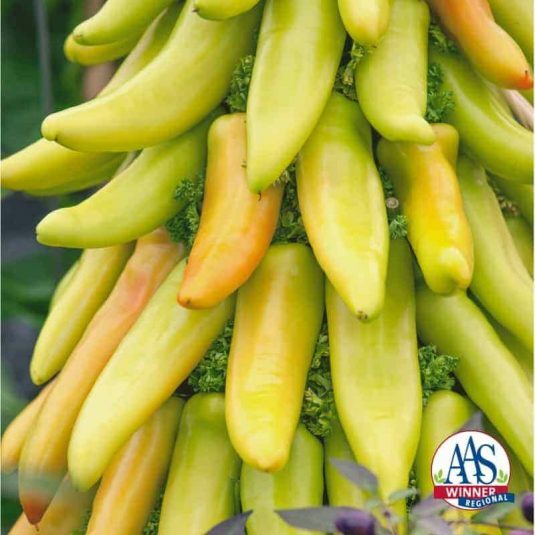 The fruits are semi-hot, attractive peppers which can be used for ornamental purposes as well as for processing, pickling, and fresh preparations. 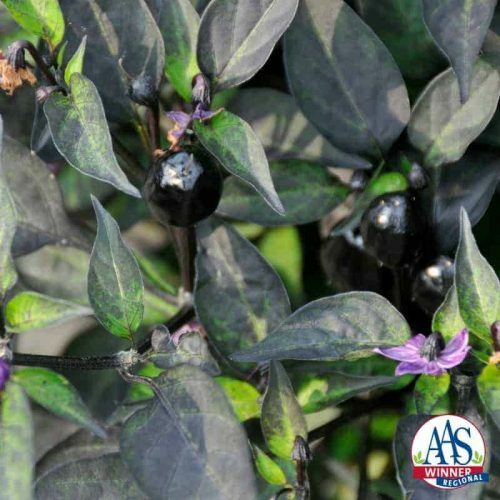 Vegetable gardeners are sure to enjoy this pepper with its attractive fruit, early maturity and high yielding plants that look great in any gardenscape. Compact medium heat Hungarian hot was pepper variety well suited for containers and urban gardens. Fruit set throughout the summer season and mature at different stages of color. You can observe all stages of maturity at once. Beautiful display of peppers in the fall and winter season could be used as an ornamental.